With each passing year, tax preparation for NYC filers continues to grow more complex. An increasingly regulatory environment, expiring tax breaks and other annual changes make tax preparation a challenge that grows more intense every year. The bottom line is that preparing your own tax returns as an NYC business or individual can be a task that leaves you with more questions than answers. According to a study released last year by the General Accounting Office of the federal government, tens of millions of filers believe they benefited from using a professional tax preparer. Located in Manhattan, the tax professionals at 212 Tax & Accounting Services understand the complex rules of living and doing business in our vibrant, dynamic region. 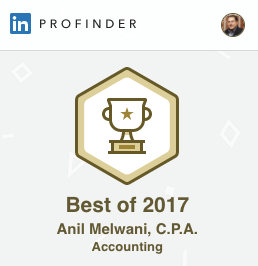 At 212 Tax, Anil Melwani and his team of tax accountants provide expert tax planning, preparation and business management services to individuals and businesses in the New York City metro area. Help you minimize your tax liability with customized strategies. Protect your estate so you have more to share with your heirs and beneficiaries. Plan for future years so you can enjoy more of your income. Whether you are an individual filing your first return or you are an experienced investor who requires sophisticated advice, the tax accountants at 212 Tax can help you navigate the codes and laws. Whether we like it or not, today’s tax laws are so complicated that filing a relatively simple tax return can be confusing. Not only is it easy to overlook the deductions and credits to which you are entitled as a New York City resident, but it’s also easy to misunderstand new regulations that may prove costly if ignored. Even if you use a computer software program, there’s no substitute for the personal attention of an experienced, qualified tax accountant based in Manhattan who understands the unique needs of your lifestyle and business. When you partner with 212 Tax, you’ll benefit from the peace of mind that comes with knowing that our tax accountants will vigorously protect your rights as a taxpayer. We can also help you with your business, including forming an LLC, partnership or corporation, as well as perform essential operations functions – such as part time CFO services. Payroll withholding recommendations that will give you more money back every week if you normally receive a refund – why give the federal government an interest-free loan for 16 months? When it comes to preparing your income taxes, do not make costly mistakes. Let 212 Tax manage your income tax prep, and take the worry out of tax season. Complete our form located in the sidebar for a personal consultation, or contact 212 Tax for more information.